Cricut Basics: Which Cutting Machine Should I Buy? If you’ve been considering buying a cutting machine, you’re in the same position I was about a year ago. I spent a lot of time online reading reviews, so I thought the least I could do to help other crafters is to write my own comparison post. If you’re hoping to find the right machine for you, this post will help you! This post contains affiliate links. I may receive compensation (at no added cost to you) if you make a purchase using these links. Materials for this post were provided by Cricut. I actually bought a Silhouette Portrait last spring (primarily because of its small size, which seemed ideal for apartment living), but I returned it soon after because I received a Cricut Explore Air in exchange for promoting an event last summer. I’m so glad I ended up with a Cricut Explore Air because I love it. I’m obviously a bit biased towards the machine I have and use regularly, and I have limited experience with other cutting machines, so I reached out to the blog-o-sphere for help. I took prodigious notes when I was working at the Cricut booth at the SNAP! Conference for creative bloggers back in April, I interviewed a fellow blogger, and I’ve combined my own experiences, feedback from blogging friends, and links to other blog reviews in this post so you can make your own decision about how Cricut machines compare to other cutting machines by Silhouette and Sizzix, and which machine is the right one FOR YOU. Here are a few of the main questions to consider when you’re comparing cutting machines. How and where will you use this machine? Will you be near an ethernet connection or WiFi? Do you want a manual machine or an electronic machine? Do you want to save money on the machine but then spend money on dies/cartridges? Or, would you rather spend money on a machine but then save money on dies/cartridges? Do you need a beginner-friendly machine or are you confident enough to explore the machine’s features (and software) with less guidance? How large are the projects you plan to make? What type of materials do you plan to cut? The answers to these questions can help you pick the best machine for you and help you avoid disappointment. Print then cut by calibrating your color printer to your Explore machine. You can read more about each of these features while getting links to 15+ free beginner-friendly Cricut Explore projects here. Since Cricut Design Space is cloud-based, you do need to have an active internet connection in order to design your project. I’ve used Design Space with my tablet and laptop at home and with WiFi away from home and I haven’t had any problems. However, if you spend a lot of time away from an internet connection, this may not be ideal for you. 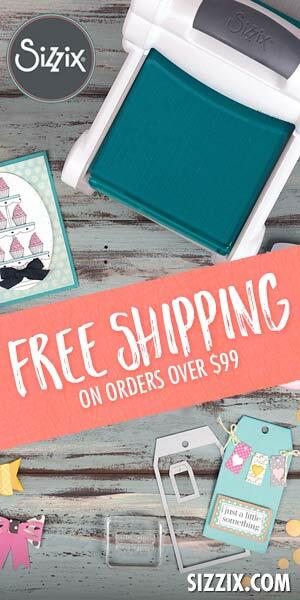 Cricut also has a thorough, searchable online Help Center and you can reach them through online chat seven days a week and through their toll free phone number Monday through Friday. I love that it’s so easy to reach out with questions. There are currently three machines in the Cricut Explore series. The Explore One machines are the most affordable models. These are wired machines that you connect directly to your device. These have one tool holder, so you can write and cut, but not at the same time. The Explore Air and Explore Air 2 both have two tool holders so you can write and cut in the same project without changing tools. These machines also Bluetooth to send information from Design Space on your device to your Cricut. The Explore Air 2 writes and cuts up to twice as fast as the other two machines. If you plan to use your Cricut a lot (such as for a classroom or small business), this feature is definitely worth the added price. Another thing I like about the Cricut Explore Air machines is that you have options in terms of color. Currently, there are Gold, Wild Orchid (my favorite), and Mint (Explore Air 2) options in addition to the standard Blue that I have. You can coordinate most of your tools to match your machine. I like the idea that my machine can be a little bit more personalized. And, if you had an older Cricut die cutting machine, you can actually import your cartridges into your Explore. I don’t have personal experience with the Silhouette Cameo 3, but I did a lot of research on Silhouette machines before I got my Cricut and, as I mentioned, I ended up buying a Silhouette Portrait. I never actually used it because as a total newbie to cutting machines, I felt completely lost. There wasn’t much in the box to help newbies and I sold it right after I received my Cricut Explore Air. If you’ve used die cutting machines or other electronic cutting machines, you may feel more confident with a Silhouette. A lot of my favorite bloggers use Silhouettes, so I’ve been very impressed by the projects they can create. In fact, my friend Alexis from Persia Lou teaches a Craftsy class, Silhouette Savvy: Venture Into Vinyl, that helps Cameo 3 users get comfortable with vinyl projects. Like the Cricut Explore machines, the Silhouette Cameo 3 can cut over 100 materials and it also has a feature where you can take images with your tablet/device for cutting. As far as I can tell, the Cameo 3 doesn’t have the writing capability of Cricut machines. Silhouette Studio, the design software, is not cloud-based, like Cricut Design Space. Instead, you download it on your machine. I can see pros and cons of that, so you’d have to decide which option is best for you. I found some reviews that were really helpful if you’re considering a Silhouette Cameo. Laura’s Crafty Life compares the Cricut Explore Air 2 and the Silhouette Cameo 3 in this post. She creates the same project on both machines and has comparison chart. Silhouette School invited four bloggers who own both a Cricut Explore and the Silhouette Cameo (Sugar Bee Crafts, Everday Party, Crafted Sparrow, and seeLindsay) to talk about the pros and cons of both machines in this post. Cricut shares quotes and videos from bloggers who’ve made the switch from Silhouette to Cricut here. Cameos can cut up to 10 feet without a mat, which is helpful if you tend to create very large home decor projects. Silhouette Studio software is stored on your computer/device, while Cricut Design space is cloud-based. Cricut Design Space is more beginner-friendly and Cricut machines make more precise cuts, especially on heavier materials. If you end up choosing Silhouette Cameo 3, Silhouette School shares her tips for getting started for beginners (including videos) in this post. I’ve used a Sizzix die cutting machine, the Big Shot, which is more affordable than an electronic cutting machine (unless, of course, you plan to make a variety of projects and start buying a lot of dies, which can add up quickly). Since I don’t know much about Sizzix machines, I asked my friend Marjie from Marjie Kemper Designs if she could share some of what she likes about her Sizzix machines with you. Underground Crafter (UC): Which cutting machine(s) do you own? Marjie: I have two Sizzix machines – the Big Shot and the Vagabond. UC: What is your favorite thing about your machines? Marjie: The Vagabond is my favorite. It’s electric, which makes cutting a breeze. It can cut up to 5 pieces of paper at once, as well as all kinds of thick materials (chipboard, corrugated cardboard, shrink plastic, fabric, etc.) I also love using it with embossing folders. The Big Shot is great too. It’s my workhorse… I take it everywhere I teach. It’s manual, though, so a bit more effort. UC: What kinds of projects/materials do you recommend this machine for? Marjie: I use my Sizzix die-cutting machines for mixed media art and scrapbooking. UC: What tips do you have Sizzix newbies? Marjie: My advice to newbies is to play around with shims. Some dies are delicate and you might not get a good cut the first try. This is especially true with thin dies, often called Thinlits. I keep an old notebook next to my machine and tear out pages to use as shims. You’d be surprised how well some of the thin dies work when you add a folded over piece of notebook paper along with your chosen paper. They make it cut like butter! To give you an idea of what types of projects you can create with a Sizzix machine, Marjie shared this image from a recent blog post: Nelson Mandela Quote Collage. Sizzix also has an electronic, die-free cutting machine called the eclips2. I don’t know anyone who uses it, so I couldn’t get any insider information, but here’s an unboxing with review and getting started video by Ken’s Kreations. So, which cutting machine should YOU buy? I’m in love with my Cricut Explore Air, but I know people who are equally happy with their Silhouette Cameo 3 or Sizzix Vagabond. If you have a friend with a cutting machine, try before you buy. If that’s not possible, Ken’s Kreations maintains a regularly updated Which Die-Cutting Machine Should I Buy? post that includes a lot of video tutorials where you can see different machines in action. Think about your answers to the questions at the beginning of the post. Choose the machine that seems to be the best fit for your answers. And try it out as soon as you get it home! I can tell you from experience that letting a cutting machine sit around in a box just increases your anxiety about getting started. If you have any questions about the Cricut Explore Air (or the other machines in the Cricut Explore series), let me know. I’d be happy to answer and help you in your machine comparison journey. I hope you find the perfect machine for you!